DBS is a unique exception. 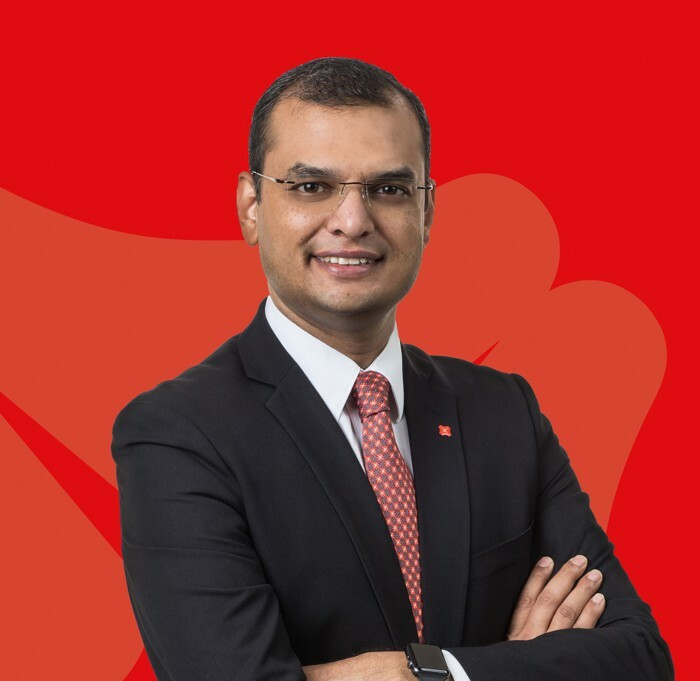 Sameer Gupta, its Head of Customer Data Analytics for Singapore, has been a key figure in enabling DBS to develop its data-driven approach to modern banking. Surprisingly, Gupta doesn’t come from a traditional analytics background. 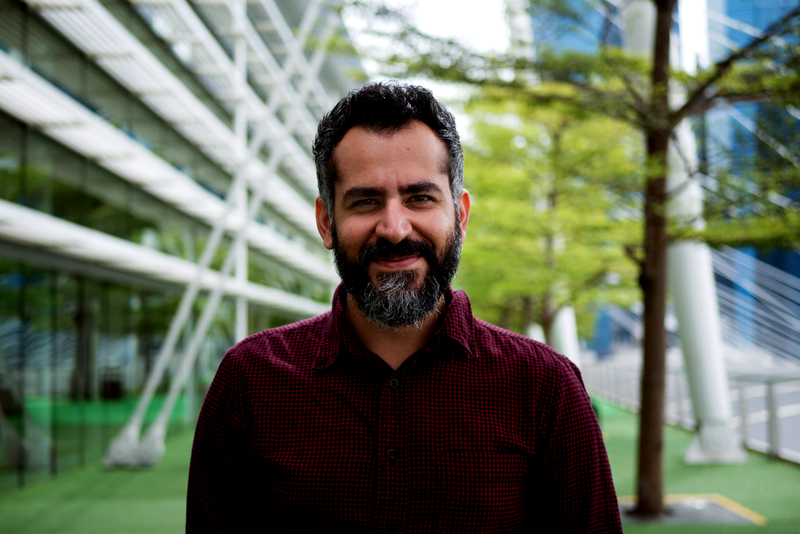 With over 15 years of experience working in India and Singapore in finance and treasury roles, he brings with him a fresh perspective that is breaking the classic “silo-ing” of data teams in large organizations. We sat down with him to learn more about his experience so far. Gupta emphasises that opportunities and insights from data analytics cannot be unlocked if analytics teams are not a part of the ownership of the business problems posed to them by their colleagues. “Traditionally, like most banking organisations, DBS’s organisational structure for data analytics used to function like a service centre,” he says. Whenever key stakeholders such as the customer segment teams or product teams had a business problem, they would translate it into a data problem. The data request would then be sent to the analytics team. Issues with this model are that the problem statement may not be consistently shared with the analytics team, and the analytics team then has a limited view of what the actual problem is. They will generally focus on the data requests and provide the data and report on it. ●	The focus of the analytics team is on the data request. ●	There is limited potential for higher level analytics like predictive and prescriptive analytics. ●	The full expertise of the analytics team is not utilised. ●	There is a long turnaround time because you service the data based on your interpretation, resulting in multiple rounds of reworking needed. 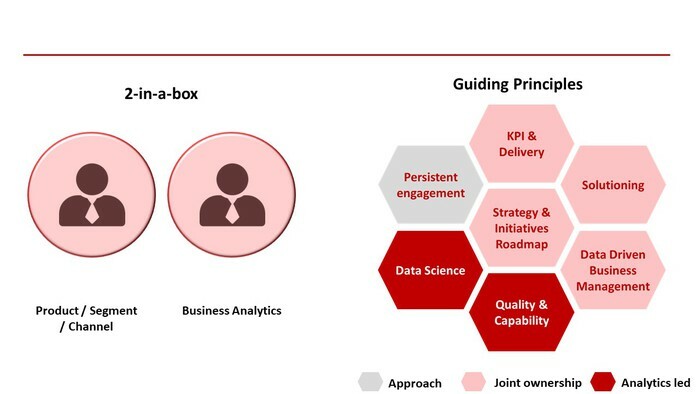 Recognising the challenges faced by traditional banks, Gupta introduced the 2-in-a-box framework to his analytics team earlier this year to guide their interactions with other functions within the bank. DBS emphasizes building close client relationships through the 2-in-a-Box Model. The 2-in-a-box model allows for collective leadership where two leaders with different areas of expertise approach the same goals. How this model is designed to work is to assign an analytics team to a product or segment team facing a problem. For example, Gupta’s team now owns the same KPIs as their product or segment stakeholders. They would sit in for the business teams’ meetings to understand their team’s operational processes and business objectives. They then function as a communication conduit to help understand their problems better. While the analytics team remains separate by organisation structure, they are deeply embedded within their stakeholders’ teams with whom they work very closely. So much so that he quipped, “sometimes the engagement with stakeholder teams is even higher than within their own teams”. It helps the problem solver to identify with and experience the problem alongside the product and business owner. The analytics owner is empowered to formulate the business problem into a data problem much more precisely. DBS Data Analytics teams go through a 4-step organisational workflow for its data initiatives. This has huge advantages. The analytics team gets persistent end-to-end ownership of the problem. They also act as a gatekeeper to ensure that business teams operate based on data and not intuition. This helps both teams to establish joint performance metrics for the analytics team and their business counterparts. What is most important for an organisation in its data transformation? Gupta suggests that it might boil down to culture, which can be incredibly challenging for large, established organisations. “It all starts from the strategy. A data-driven enterprise is one that cultivates the culture of continually using data and machine intelligence to make all business decisions. It’s not about having a lot of data and reports, it actually refers to the data culture”, he says. Today, Gupta’s main agenda for the consumer bank is to communicate the importance and the impact of data on customer engagement. For DBS, the data obsession pervades the entire organisation. From its CEO, Piyush Gupta, to the individual bank tellers at their branches, management makes it clear that all decisions have to be backed by data insights, not by intuition. Even business reviews with management or proposals not supported by the right insights would not make it past the first stage. The bank encouraged all staff to ask questions, including “How do you know?” and “Show me the data” to spread the culture of making decisions driven by insightful data. The bank has also adopted a strong testing culture. At DBS, each business executes several high impact data analytics projects throughout the year. It increases the depth of business to drive business performance using insights from data. Gupta advocates two steps for this. First, innovate through continuous experimentation. Second, encourage the team to generate new hypotheses and test them. This would help to equip everyone in the team with the ability to develop ideas for change and then to test them. One of the initiatives that DBS is taking to ensure that everyone is fully immersed in the data culture is democratising data and making it available to staff. In Singapore, there are 100+ self-help dashboards available to 1,000+ staff in the consumer banking division to use data to manage their businesses. ●	Trainings and sharing for non-analytics staff to establish strong data culture even outside of analytics teams. ●	Scholarships to employees to further their skills in emerging technologies, such as data and analytics, design thinking, and automation. They are then encouraged to share their learning with their peers, creating a culture of peer-to-peer learning. To date, 130 scholars have shared their knowledge with more than 1,000 of their peers. ●	Cross-business collaboration through Group Analytics Committees, consisting of Analytics heads from all businesses in the 18 markets that DBS operates. Predictive analytics: Uses statistical models and forecasting to understand the future. It estimates the likelihood of future outcomes. Prescriptive analytics: Advises on possible outcomes, recommends possible actions guiding towards a solution. DBS leverages on its wealth of data to improve the customer journey. Gupta explained how in the mortgage market, after lock-in periods expire, some customers may refinance their loans with another bank to take advantage of lower interest rates. However, in doing so, customers are put through the entire documentation and approval process, including affordability assessment, legal process and property valuation. With the customer journey in mind, Gupta’s team developed machine learning models to predict the customers who were likely to refinance the loans and engaged them with competitive offers to reprice their loan with DBS. This significantly enhanced the customer journey by saving them the hassle of going through the entire documentation and approval process, and in some cases, additional costs. In another example, Gupta’s team leveraged on their deep analytics skills to improve the bank’s operations and customer experience. When a branch was temporarily unavailable due to renovation, the team used analytics models to predict the potential increase in traffic at other branches, which helped in the resource planning to ensure consistent customer experience. 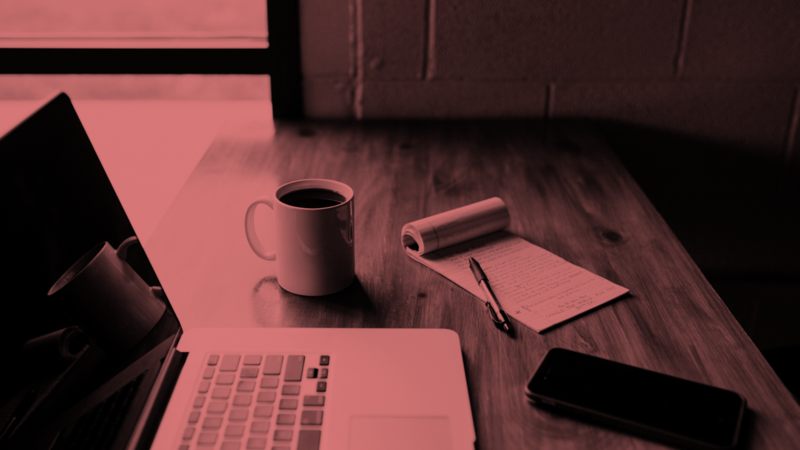 In addition, by predicting the customers who are more likely to adopt digital channels, DBS was able to bring greater conveniences to their customers by proactively engaging them on their digital journey. The Prescriptive Approach proposes the right customer engagement strategy and enables staff to make recommendations backed by insights to suit the needs of customers. One project they worked on used machine learning to identify the right time and insurance plans to engage customers and help them in meeting their protection needs. This initiative stemmed from the insight that the protection needs of customers change as they evolve through different stages in their lives. The machine learning model predicts when customers require additional or different types of insurance and prescribes the protection product suitable for the customer. This enabled the bank to engage customers with more meaningful and contextual conversations and advice based on real needs.